Just as the historical Gautama Buddha came to be seen by later adherents of the faith he founded as only one of a long line of former Buddhas, so the historical Mahāvīra, founder of the Jaina faith, came to be counted as the twenty-fourth Tīrthaṅkara (literally “ford-maker”) or great teacher of that religion. The present image is a representation of Śrī Kunthunātha, the seventeenth in the line. A comprehensive inscription on the back of the image states that is was commissioned by a certain merchant Simghāka together with his wife and two brothers, and was installed by Śāstrī Lakṣmīsāgarasūri, a monk of the sixth gaccha (tapāgaccha) of the Śvetāṃbara or white-clad branch of the Jain faith. 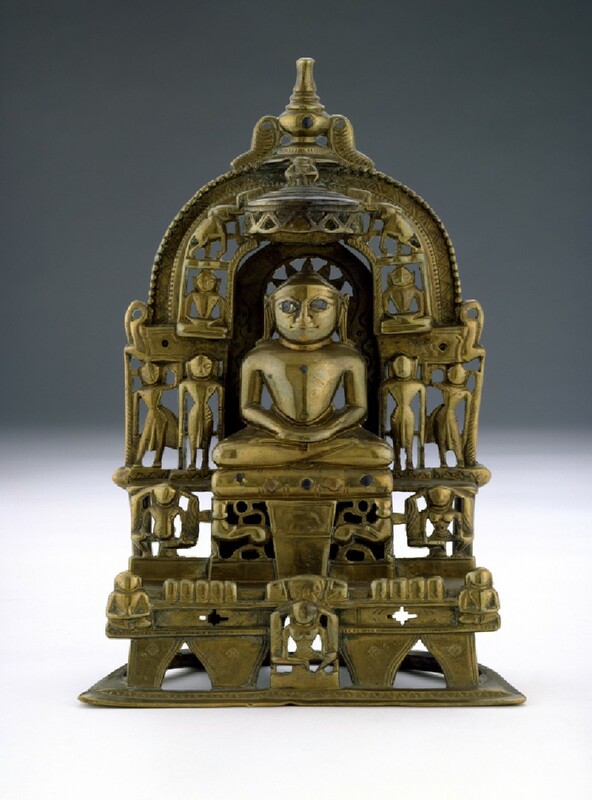 It was made in the town of Vasantapura, one of the major centres of Jainism at this time as attested in works such as Hemacandra’s Pariśiṣṭaparvan , which corresponds to the modern Vasantagaḍh in southern Rajasthan, where other bronze Jaina images dating from as early as the 7th century A.D. have been found. Amongst the small attendant figures in the prabhāvali are doubtless the yakṣa and yakṣī associated with Kunthunātha, the latter the only recognizable female figure, seated in a lalitāsana. There is the outline of a goat, Kunthunātha’s vāhana, lightly etched on a panel below the seated figure. Otherwise the little figures have no distinguishing marks or attributes, and are stylized to an extraordinary degree into the quasi-geometrical forms of the last Western Indian Jain style. 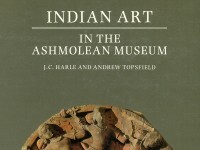 The Ashmolean possesses another almost identical image [EAOS.110], also of Kunthunātha, consecrated in 1470 by the same Lakṣmīsāgara.